Digital & Offset Printing - Colortech, Inc. Your brand image is critical to building trust and respect with your customers and prospects. Rely on Colortech's proven expertise for the ultimate in printed business communication products. Colortech’s creative, high-quality, and affordable printing, will boost your organization’s image and set you apart from the competition. When it comes to medium- or high-volume printed pieces, Colortech offers the expertise to meet your needs with a full range of marketing and collateral products. Digital printing is the process of transferring a document directly onto a printing substrate by means of a device that accepts text and graphics output. As with other digital processes, information is reduced to binary code, or "digitized," to facilitate its storage and reproduction. Instead of customizing printing plates for a commercial/offset job, digital printing allows us to print directly onto the paper, cardstock, fabrics, and other substrates. Digital printing has steadily replaced offset printing in many markets, especially at the consumer and business level, as a result of its substantially lower production costs and faster turnaround times. What are the benefits of using digital printing? Faster turnaround time: Due to the less labor-intensive methods used in digital printing, this allows for much faster turnaround time. Cost-effective short runs: The cost of getting a projected printed digitally is much cheaper than using offset. If you need to print only 20 pamphlets or 200 business cards, digital outshines offset. Allows for variable data: Perhaps the greatest benefit of printing digitally is the allowance of variable data. It is much easier to change individual information throughout a digital print job. For example, If you are sending out a direct mail campaign with 250 different addresses, you are able to do so without any extra time or effort. Offset printing, also called lithography, is the most common kind of printing for high volume commercial jobs. Colortech provides PMS (Pantone Matching System) and 4-color offset printing that is widely used to print projects such as booklets, brochures, and newsletters. Here’s how it works: ink is spread on a metal plate with etched images, then transferred to an intermediary surface such as a rubber blanket, and finally applied to paper by pressing the paper against the intermediary surface. The different colors of ink are spread onto the rubber and then the paper is run between them. The paper goes through all of the rolls, layering on the color, to get the final image. What are the benefits of using offset? Higher print quality: If you want your print project to be the highest possible quality, offset is the way to go. Perfect color match: When using offset as your printing technique, the colors will be exact. Colortech can adjust and balance the colors on your project to make them look exactly as intended. This is done by our expertise in mixing different inks. Larger quantities: Offset allows your company to print at a much larger scale than digital for a cheaper cost. Which should I choose, offset or digital for my print project? Great question. If you are going to need a quick turnaround time and only need a few of the items, digital printing is the way to go. When printing on our digital press, you save about half of what you would pay for offset and you get it twice as fast. 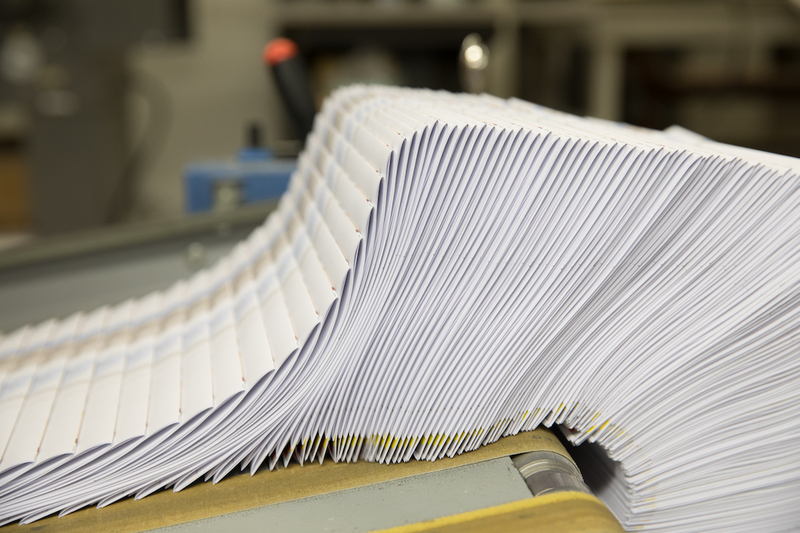 With offset printing, you're going to get the highest quality print job you can possibly get. With offset, the ink and paper options are much greater than digital. Your piece can use special custom inks such as Pantone and metallic finish. The decision to print either offset or digital is quite a hard choice to make. The bottom line is when you need a larger run of your piece or using a specific color in your design, offset is the way to go. On the other hand, if you need 100 pieces printed with individual addresses or anything else that is variable, digital is your best option. If you are torn between the two, our team can sort out your confusion.